Singur was in limelight during the first fortnight of September. Mamata Banerjee put the Tata Motors site under siege. She wanted 400 acres out of 1000 acres of the project land to be returned to the farmers. These were the farmers who were never willing to sell their land to the Government. We have witnessed the same drama [though with a different cast] several times. What happened when the same Tatas wanted to set up a hydro-electric power generating station at Bhira? They had to make Mulshi dam. There were bitter protests, Senapati Bapat led the struggle. The memories of Narmada Sarovar are fresh in our mind. Medha Patkar led the struggle. And now we have Tatas, Mamata and Buddhadeb at loggerheads. Tata’s Nano project was the flagship industrial revival project for West Bengal. Mamata wants to protect farmers’ interests. And Tatas have their commercial interests to guard. Can there be reconciliation? Impossible! 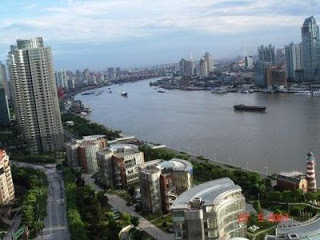 I had been to Shanghai and Singapore in the last six months. The progress made by them is unbelievable. In Singapore you feel the presence of Government everywhere. It is almost omnipresent. Nobody crosses the speed limit on road; you can shop in Mustafa at midnight and walk back to your hotel without fear. My guide told me that the Government was introducing hospital rates which will be based on patients’ capacity to pay! 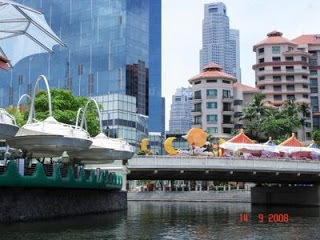 And they are going to convert the Singapore River’s mouth into a fresh water lake! Today it has salt water of sea flowing there. Will we ever have a strong Government that is fair and yet is capable of implementing its will? Shanghai, Singapore and Singur represent three degrees of sensitivity to the progress as well as citizens’ interests or liberty. In all the three cases Governments had to strike a balance between the two. Singapore seems to have struck the golden mean. Where would you like to be? In Shanghai, Singapore or Singur? The first two will surely not have any place for Buddhadeb and Mamata! I guess in our case, we wait for our government to decide, to start the protest ! In India, Central Government has never been observed as "STRONG". Mainly because of its coalition structure. Such type of Govt. will remain always weak & if we want to be like Singapore, Shanghai we must adopt Japanese Policy…..or we will find many more Singur…. Balance between Development and preservance of the natural environment should be maintained. Developed nations now tend to save their natural environment as much as possible.I know in NZ and Australia people have to get approvals to cut trees even in their own backyards!